What can you say about her? And I wonder how deep you are? Just like a star -- up high, so far. Another quick poem when my new friend Anne asked me what you can say about her? Pertaining to specific person name Grace. The scene from NEU Professional Building when they ask me to hang around with them before the class start at 4pm. I had 10 minutes to spare time with them and I am glad to meet the rest of her friends. Love was on the air and I don’t know how I reacted from it. I remember to smile naturally and feel good about it. PS: The second stanza was for Anne! Take easy on the poem, no animals harm and in danger while making this poem. It’s good to remember how we did the independent film “Walang Take Two” at this building. Hospital scene and the awarding event was taken here last July 8, 2015. PS: It is also what I can say about You! https://www.dlysen.com/wordpress/wp-content/uploads/2016/07/IMG_3994-walang-take-two-hospital-scene.jpg 674 1200 dlysen https://www.dlysen.com/wordpress/wp-content/uploads/2015/10/logo-grace-and-dangal-2015-80x80.png dlysen2016-07-21 00:54:362017-12-10 15:09:17What can you say about her? This is a quick poem I wrote after NEU Blood Drive at NDEP Center. I knew that there will be a blood donation but I don’t know exactly when. Early morning before 10 am "July 14, 2016", When I passed by NDEP Center, I fill-up and registered myself as blood donor. I mention about August Seven before I end up the poem. I remember good memories that I wanted to go back from that day. PS: I wish I can always donate blood specially when someone badly need it. I feels likes giving life supports for whom who wants to live long. Today July 11, 2017 I don't really know more about happen last August seven. Sometimes Giving Up Is The Answers, But Don’t! You’re in a relationship that you wanted to give up but you can’t. You deserved to be free and happy. Happiness is sometimes giving up your commitment. We had decisions in life that we thought was right and feel something wrong along the way. Don’t give up! It means you have to learn it in a hard way. We’ve always wanted to be happy. Happiness is always at the edge when it earns from the others or specifically from someone we love. You must learn to be happy from within because that happiness cannot be taken away. Don’t give up on others! Happiness is great when it is shared. We cling on something we believed. We follow that principles in life not knowing that there is a better ways. It’s okay to give up on what you had learned to know the truth behind the lies. But don’t! Don’t forget from where you from because you can become an inspiration by your story. It is always good to hold on and keep your patient trying to save what you think is possible. You’ve never notice that there are more opportunities far better than what you have now. When you are ready to give up, remember why you think it is possible from the start! I am trying to convince myself to give up! I am trying to believe that when I give up it’s over and I am done. I don’t want to experience something bad or to compete with others for winning or losing. I don’t know if I am tired because I want to give up. But after I gave up, I found the answers. My life doesn’t end after giving up and that only leads me more to unhappiness, pain, suffering and frustration. I’ve learned to hold on to the dreams that I wanted to give up! Because I found that dream as a reason to live and enjoy life in good and bad times. I’ve learned because I gave up and I won’t give up again. Keep on trying. https://www.dlysen.com/wordpress/wp-content/uploads/2016/06/dont-lose-hope-never-ever.png 1080 1080 dlysen https://www.dlysen.com/wordpress/wp-content/uploads/2015/10/logo-grace-and-dangal-2015-80x80.png dlysen2016-07-14 04:24:162017-07-21 11:36:10Sometimes Giving Up Is The Answers, But Don’t! How to print triangle shape asterisk using for loop? This is my first exercises on computer programming 2. To triangle shape asterisk or echo out triangle asterisk in a for loop sequence. Here is the code for the number sequence. We already got the number of asterisk on each row. Now we can print the asterisk accordingly. The output of triangle asterisk using for loop. We add dash to indent the asterisk to center for the final code. The output of triangle asterisk using for loop with indention. https://www.dlysen.com/wordpress/wp-content/uploads/2016/07/work-stations-plus-espresso.jpg 3744 5616 dlysen https://www.dlysen.com/wordpress/wp-content/uploads/2015/10/logo-grace-and-dangal-2015-80x80.png dlysen2016-07-12 01:39:132017-07-11 14:48:41How to print triangle shape asterisk using for loop? Beauty Fair at the BDJ Box Beauty Boot camp! A week before! I thought I was registering for a giveaway contest but it was a pre-registration for the (Beauty Fair) BDJ Box Beauty Bootcamp. So I feel like a winner when a congratulations notice arrived on my inbox. I was hesitant to go since the invitations are for bellas, but my interest to get the freebies is very much alive. I was thinking of passing the gift to someone I know who love beauty products, but I feel like I want to use it now for personal grooming. I love the discount and other free items on the Bootcamp. I wish that I could stay longer but I had a scheduled movie to watch. Thanks for the awesome selfies with new faces! I wish to know them all and make not strangers. My observation for the Beauty Fair crowd? I don’t know if I am the only male registered participant because I have not found any men registered participant before I went out of the Bootcamp. Reaching out friends and new friends is much exciting than having a new friend in social media. It is really awesome. https://www.dlysen.com/wordpress/wp-content/uploads/2016/06/bdj-box-beauty-bootcamp.jpg 960 960 dlysen https://www.dlysen.com/wordpress/wp-content/uploads/2015/10/logo-grace-and-dangal-2015-80x80.png dlysen2016-06-27 20:14:232017-12-10 15:09:17Beauty Fair at the BDJ Box Beauty Boot camp! What makes me happy becomes my reality. Sometimes we come into a person's life not to make them love us but to let them feel that they're so much worth loving for. I had let go! That was the solution I did over and over again. It didn’t work out on me until I decided to love you more. Now I am free and I can overcome my emotions with love. I had let go of pain and suffering but it is always coming back. Memories can still hurt and leave you hopeless. I decided to love you more and accept the pain until I understand and tolerate. I put the weight of my suffering to my shoulder until it became part of my life. I love you more and I did manage to hold on. Now I can endure pain and reject suffering. I had let go of the dream we planned but it did not fade. I can have a new mindset and see things differently to make some changes. Dreaming without you are still a dream in the absent of you. It doesn’t make sense because the story and visions are made with the shadows of you. I will love you more and my dream goes on even without you. Now I can live whichever dream ever accomplished. I had let go of your promises but it makes me feel guilty and weak. I believe in every word you said until it became the opposite. You’ve always been my inspiration and motivation. I will love you more because my commitment is not like a broken promise. Now I can stay in love whatever it takes without guilt. I had let go of the past but I cannot forget. Our history was made but I can’t put an end to it. I will love you more so that I don’t need to forget even if I have to move on. Now I can share our story that love is a choice. I had let go of our friendship since you start to ignore me like the wind that you can't see. You’ve always been the best companion where ever we go. Together I almost forget the rest of the world and stay happy with you. I will love you more so that one day if you need a friend, I’ll be just like the wind that you can feel and breath. I had let go of everything about you but then I love you more. I guest letting go is just an illusion and loving you more is a magic. I don’t know which is the reality between magic and illusions? What makes me happy becomes my reality. https://www.dlysen.com/wordpress/wp-content/uploads/2016/06/worth-loving-for.png 1080 1080 dlysen https://www.dlysen.com/wordpress/wp-content/uploads/2015/10/logo-grace-and-dangal-2015-80x80.png dlysen2016-06-23 22:41:002018-09-21 13:53:39What makes me happy becomes my reality. I had a very good experience during our travel tour at Baguio city. I had never planned it but I am glad to joined with my brother with his family. I am an extra person going where the wind blows. Going there was easy without traffic along the way and our first photo together at the Lions Head. 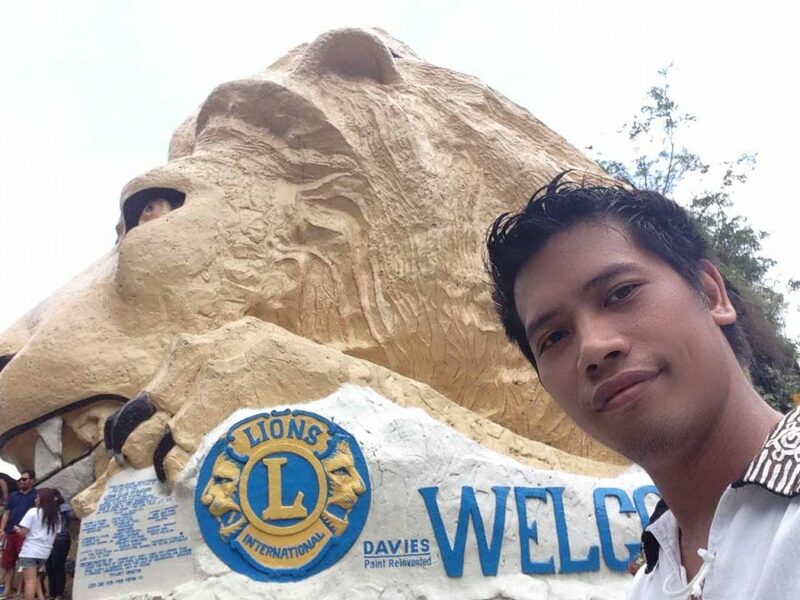 They said that you had never been to Baguio if you don’t have a photo of the Lions Head. I been there few times and taking photo is not necessary because it dark on early morning or late afternoon. And this time is perfect for taking photo shoot. We had a good lunch at Don Henrico’s SM Baguio for our next stop. I enjoy the mozzarella stick and chicken. We stayed at Pines View Hotel for three days and two nights. The place is very good to stay. The free breakfast meal is very good too. I can say that I am comfortable with Pines View Hotel. Our first city-walk is going to Burnham Park. The main attraction of the park is the boat ride at the lake. We walked along session road. I’ve always been walking at Session Road from my entire past visit. We joined the crowd of the market looking for some scarp and other souvenirs and passed by Rizal Park while going to Cafe by the Ruins for our dinner. Cafe by the Ruins is one of the top ten restaurants to check in Baguio. The ambiance is nice at night with romantic candlelight. Back at the Pines View Hotel, I love the night it was as cold as my heart, but I was happy. We rent a van service going to Baguio tourist spots. It is very useful because they already know how to get there and very time efficient. Another one of the top ten restaurant in Baguio is Good Taste, and it about 3 minutes walk for Pines View Hotel. We had a good dinner after our day tour has done. Good Taste is well know for its cheaper value and bigger servings. Another cold night for me, and my heart said that you really need someone to be with to make you warm. I replied: It doesn’t matter if your feel is warm or cold, what important is you can be happy. The cold night begins and I was happy doing my job until I fall asleep. Last day of Baguio tour! We will stop by at the Dinosaur Island along the way going to Manila. We had lunchtime at the NLEX Caltex gas station and another fun animal feeding at mini Zoo. We had a very good experience during our Baguio Tour. Thanks so much for having me with you kuya Mon and Family. My first cry was amazing and I believed that I brought joy and happiness to the world especially to my Nanay. I am not conscious and aware (as a new born) but I know now that my happiness was a pure blessing. I am so blessed. I wanted to discover how happy I was back then; how did I share my happiness with my mom and to others who cares to me so much. Can you imagine the day when you were in your mother’s arms and close to her heart? She protects you from any harm and gave you so much time and attention. I can say it was unconditional love, so pure and so kind. I don’t know how much love I need but I think I had enough. Sometimes I got pity. I was emotionally hurt and feeling down. I wanted something that I couldn’t have. How much longer should I endure this pain while making myself happy? I asked myself how much longer do I have to cry; is it until tomorrow’s light? I wasn’t afraid to lose this happiness taken away by someone I let go. I cried again and it was amazing. I believe that I still have my heart that can be happy from within. I really missed my mother’s hugs and her caring instinct from where I felt happiness from within. I missed my mom so much. For anyone who asked me about their tears, fears and burdens, I had shared my thoughts and advice to my other blogs too. [Paano Maka Move On] I am wishing for you to find your happiness from within and remember that you are also blessed with a happy heart. Happy Mother’s Day Nanay! Thank you for being my inspirations and helping me to have this kind of happy heart. It’s all about the love that you had with us. What kind of words you want to hear? My heart to speak into your ears. How did it hurt you even more? When someone leaves out of your door. would I can also feel the same? Love and desire of heart unknown. I was stalking to my friend and find the post “Bakit ang Sakit.” I had that feeling too and I wish I can do something about it. I open up chat conversation with her made this poem. My intention was to help and ease her worries, but it didn’t turn good after all. Here is my opinion: She only sees what she had lose and never open her eyes to see the aid and replacement. She is on the stage of holding on and I want to see how long it will last when she let go.